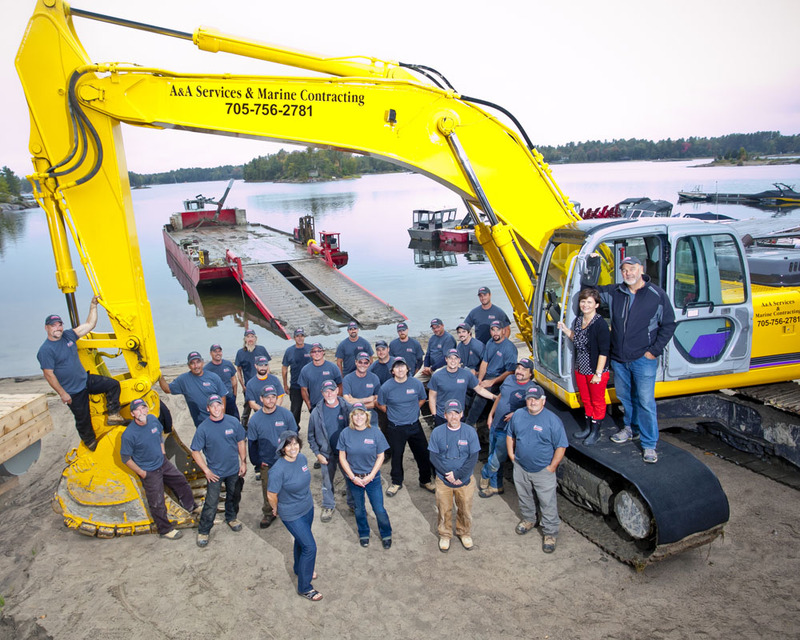 A&A Services and Marine Contracting Ltd. is your complete design and build contracting solution for Muskoka and South East Georgian Bay. We specialize in 4-season waterfront and island cottages, shoreline dock and boathouse projects, construction and landscaping design, including complete permit application services. 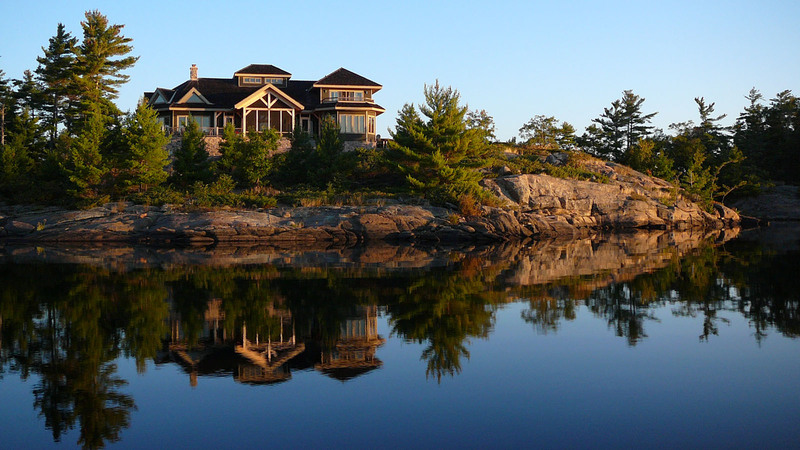 With over 40 years experience serving the area, we can help you realize your cottaging dreams! Initial sketches to final construction, we'll see your dream through to the final touches. Cottage raising and foundation repairs. Engineered ground screw foundations. 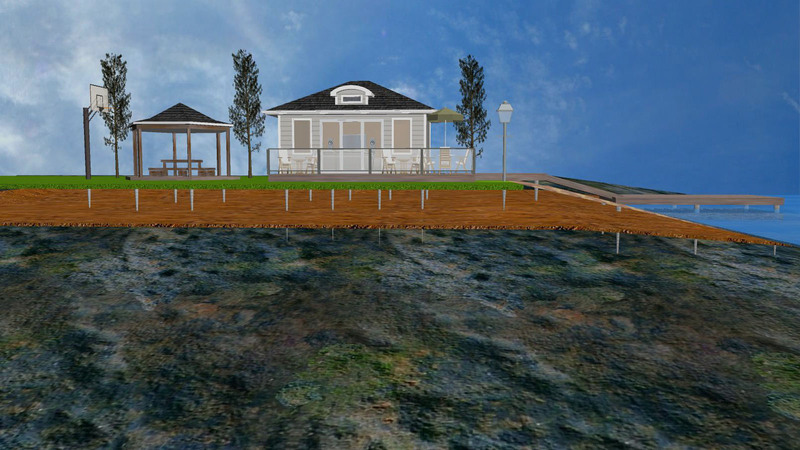 Custom build boathouses and boat ports. Shore platforms, cedar & pressure treated pipe docks. Stone masonry, fireplaces. Granite limestone retaining walls, flagstone patios, walk ways & stair treads. From vision to oasis, our team is equipped to see you through. Dredging, septic, grading, excavation and road building. So you’ve decided to build, but where do you start? There are so many things to consider before starting your build that it can become very overwhelming. We’ve put together this home builders guide and checklist to help you get organized and start preparing to make your dream a reality. Click the book above view the guide and get planning! This letter reflects our highest praises for Armin Grigaitis, Glen Heintzman, and their entire A&A organization. We have worked with Armin and Glen for over 13 years and they have consistently delivered nothing but the most superb products & services. They have always demonstrated talent, honesty, integrity, and responsibility and are a pleasure to work with. The beautiful cottage they constructed for us with loving care and a real “can-do attitude” is no less than a comfortably livable work of art. If you are searching for the best, look no further." "Kevin and I are always pleased to have the opportunity to recommend A&A. The fact that we had A&A build our first cottage, then totally renovate it again 15 years later says it all. We had never been involved in a construction project when we decided to build our first cottage in 1996. We were very green, so we needed a builder who could instill confidence in us that they could handle the job. The cottage was to be built on an island an most of the construction was going to be done over the winter. Armin and Glen gave us the feeling of confidence that we were looking for. We had our cottage design, but we didn't know exactly where on the property it should go. We knew the perfect spot was exactly where a massive boulder sat. That boulder was probably the size of half of the cottage. It never occurred to us that the boulder could be blasted. Armin and crew blasted the boulder and the construction in February, and I saw it for the first time in May of that year. Email was just becoming popular and cell phones didn't have the ability to send photos or emails at that time. We relied on phone calls and faxes. Even without being able to communicate the way we do today, we would say that the experience was painless. We trusted Armin and Glen to build us our cottage, and the did exactly that. If we were to do it again, (which we won't be doing), we wouldn't hesitate to hire A&A Services again." Our experience working with Armin and Annemarie and all the staff at A&A Services and Marine Contracting has been very positive. The process of procuring a lot in Cognashene, building a bunkie and a cottage has taken place over the last 6 years, which was the time frame that we had requested. A&A was very helpful with liaising with the municipality and securing permits for installation of the septic system and building construction. As the projects proceeded communication was good in order to keep us informed of progress. Any issues that arose were promptly dealt with to our complete satisfaction. Now that we’re done we are very pleased with the level of quality in the construction and finishing of both buildings as well as the landscaping. A&A brings a level of knowledge and expertise that can only come from having successfully completed many custom, high end building projects in a pristine area that presents numerous construction challenges. This experience enables them to advise on design, materials and techniques for all facets of the project. Most importantly all A&A staff were professional, responsive and enjoyable to work with. We look forward to many years of enjoyment of our property in this special part of the world and happily provide this testimonial to A&A’s service. "Armin and Annemarie, a short note to let you know how happy we are with our new dock. It is solid and well-built and will not only withstand the winter ice, but an ice age. 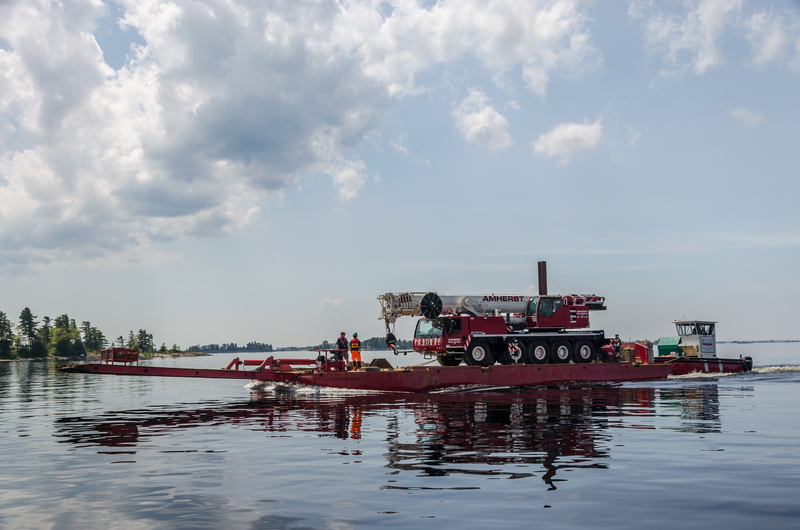 Your crew was extraordinary-prompt, professional, extremely competent and comfortable with all tools and machinery. They worked ceaselessly through the heat and the rain and the wind. Armin and his crew have our heartiest recommendations." I just want to say thank you for the opportunity that you've provided me. It's a pleasure to work with everyone at A&A Contracting. The office staff and the skilled tradesmen are not only the best at what they do but they are also some of the best people I've ever worked with. That starts at the top! Thanks Again!"